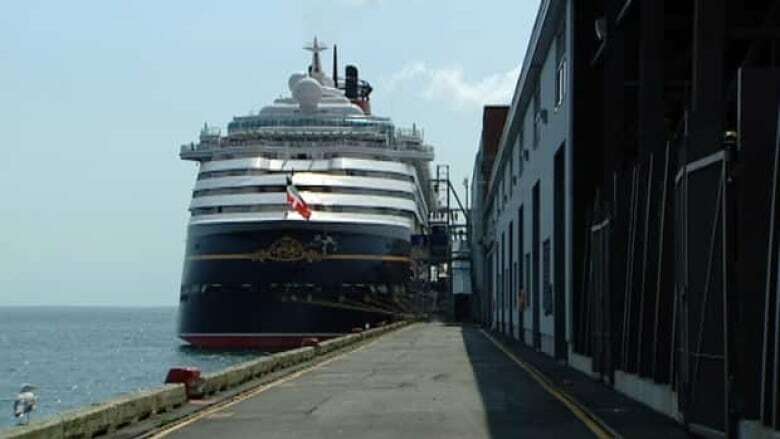 Halifax will be the first port in Atlantic Canada to implement shore power for cruise ships in a $10-million project designed to reduce diesel emissions. "When cruise ships have come to dock here in Halifax, they've quite literally had to leave their engines running. They need to do so in order to operate their vessels' on board equipment while in port," said Defence Minister Peter MacKay. "That, however, is changing because of today's announcement and because of the funding that we will invest today." The federal government, through Transport Canada, will contribute $5 million to the project while the province of Nova Scotia and the Port of Halifax will contribute $2.5 million each. The shore power, which is expected to be ready for the 2014 cruise season, will allow one cruise ship at a time to turn off its engine and plug in. However ships that are not equipped to receive external power will continue to generate their own electricity. Transport Canada estimates the move will equal an annual decrease of 123,000 litres of fuel and 370,000 kilograms of greenhouse gas and air pollutant emissions. "We know Nova Scotians want good jobs and a thriving tourism industry," Graham Steele, the MLA Halifax Fairview, said in a statement. "The province is supporting the businesses and workers that depend on the cruise ship industry, creating quieter and cleaner conditions for visitors and Nova Scotian families, and positioning Nova Scotia as a more attractive destination." The power rates will be passed onto the cruise ship passengers. Generating power for a cruise ship is the equivalent of powering up the town of Antigonish.